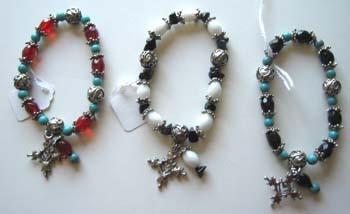 Three different colors of bracelets, each with a tassel. These are strung with elastic. 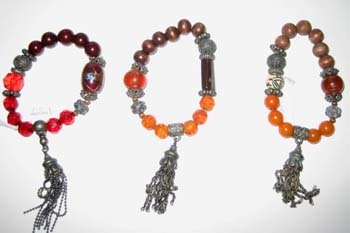 Tassel chains are about 1.5 inches in length. Order from left to right.